Spinnerbait is a monster. When I first saw it, I felt incredible. Can I use this go fishing? I didn't have any confidence in it at the time, so I wouldn't use it, just buy two pieces symbolically. Until I went out fishing and didn't get the fish for half an hour.I am very upset that the bait has lost three because of the hanging.At this time, I think of Spinnerbait, its anti-hanging performance is good, why not try it? What I didn't expect was that I just used Spinnerbait to throw a few times and got a bass of about 30 cm. Since then, I will use it every time I go fishing. The spinnerbait consists of Silicone Jig Skirts,jig head, a wire and a set of sequins. The objects have a magical performance through scientific combination. 1. Anti-hanging performance is very good. Because of its super anti-hanging function, Spinnerbait can reach places where hard baits cannot reach, such as water grass areas, places with scattered branches at the bottom, rock piles and so on. 2. Covering all the water layer. The crank and minnow have been set with the water layer at the time of design. So the fisherman can't change the depth of the dive as desired. Spinnerbait is different, as long as you know its submersible speed, you can control its swimming layer. When the throw pauses, the Spinnerbait will slowly fall, not sinking as fast as the metal VIB.Once again, it will not suddenly pop up, but slowly change in the original water layer. In unfamiliar waters, Spinnerbait can be used to explore water depth and bottom structure. Of course, Spinnerbait has different sinking speeds due to the difference in weight and sequin size. In the clear shallow waters, you can test the sinking speed of the Spinnerbait used, then wait for the sinking to calculate the approximate water depth based on the sinking speed and time. Finally, slowly retract the Spinnerbait and let it swim against every stone, every grass and every branch of the water, so that you can understand the underwater structure. How does Spinnerbait tempted BASS to attack? I personally think that Spinnerbait uses the undulations and refractions caused by rotating sequins to attract BASS's attention and let the fish catch up quickly. When the bass is closer to the bait, changing the route of the bait BASS can't help but rush to bite. 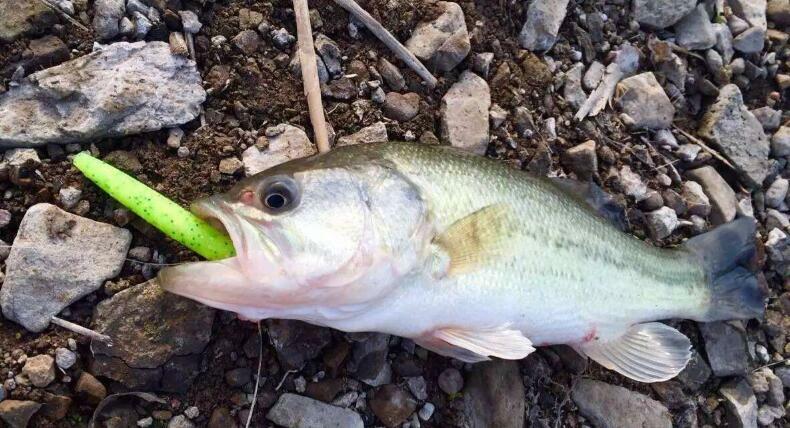 Why does BASS only bite the hook under skirt but not biting the spinner above? Because BASS can't see the shape of the high-speed rotating spinner above. About Silicone Jig Skirts.I want to express my idea. The choice of the color of the Skirts is similar to that of the hard bait. When the water is clear, the natural color is used; when the water is turbid, the color is brighter. But I pay more attention to the softness and hardness of the Skirts. I like to use a harder Skirts. Because the resistance of the bait in the water is bigger than in the air, the Spinnerbait of the hard rubber may not look good, but swims fast in the water. When the body size is relatively large, the hook is generally not exposed, and in a fast and slow swimming, the elastic rubber has better elasticity and natural movement. Of course, the soft rubber also has its advantages. When it is used for jerking or lifting, the softness of the soft rubber in the water is beyond the reach of the hard rubber. The spinner blade is also a very important part of Spinnerbait. According to the shape classification, the spinner blade have three kinds of oval, willow, and teardrop shapes. According to the color classification, the spinne have various colors such as silver and white. Compared with the shape and color of the sequins, I pay more attention to the size of the blade. In deep water or large waters, I chose the big Spinnerbait because it can make a louder sound in the water, causing stronger fluctuations and attracting farther fish. In the grass area, small spinner or a single spinner is my first choice because they can pass through the gaps in the grass. It is more convenient when fishing. The small acceleration of the bait after leaving the water grass has a huge temptation for the trailing BASS. Let's talk about hooks. It is a small hook attached to the Spinnerbait. Indeed, the use of hooks will reduce the possibility of fish escaping after a bite, and accurately reduce the chances of small fish escaping. Fish with a body length of 25 cm or less can only bite into the skirt when they bite the hook. They cannot bite the hook. And the small fish's lips are thinner, it is easy to unhook and escape after biting the hook, and the hook can effectively prevent this from happening. In addition, the anti-hanging performance of the hooked Spinnerbait is greatly reduced. When jumping over the underwater obstacle, the active hook is often caught by the water grass, which leads to the loss of the bait. Therefore, I think that the hook can be used when fishing. In short, in the power fishing's many fishing tackle combination, Spinnerbait is a powerful and wide-ranging bait, especially in the spring and autumn, it will bring you unexpected gains.